KKR and Bain are giving $20 mln to employees who lost jobs in the retailer’s bankruptcy. That’s better than nothing, and an intriguing precedent. But it won’t go far among tens of thousands of people. It’s also a pittance compared with the fees the firms took over the years. 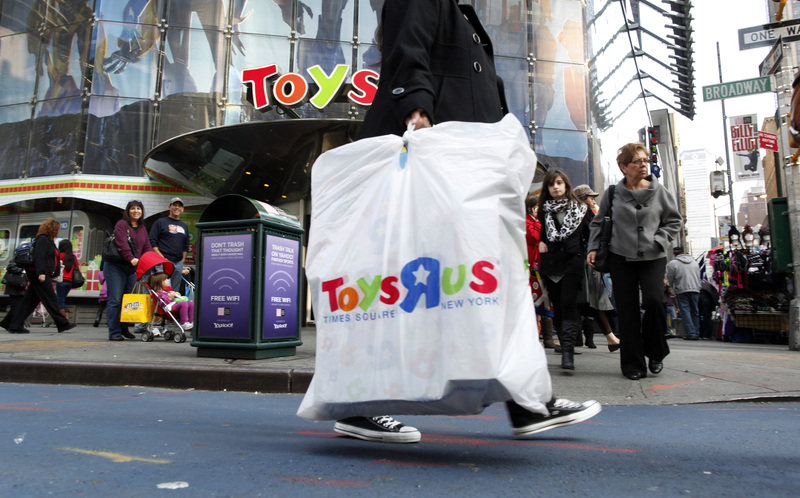 Shoppers pass by the Toys R Us store at Times Square in New York November 22, 2010. KKR and Bain Capital are establishing a fund to distribute $20 million to employees of Toys R Us, the bankrupt retailer going through liquidation. The firms have appointed Ken Feinberg and Camille Biros, two executives who worked to distribute funds following the Sept. 11, 2001 attacks and BP’s Deepwater Horizon oil spill, to manage the process. Payments will be made based on tenure, salary, and general termination and employment guidelines.